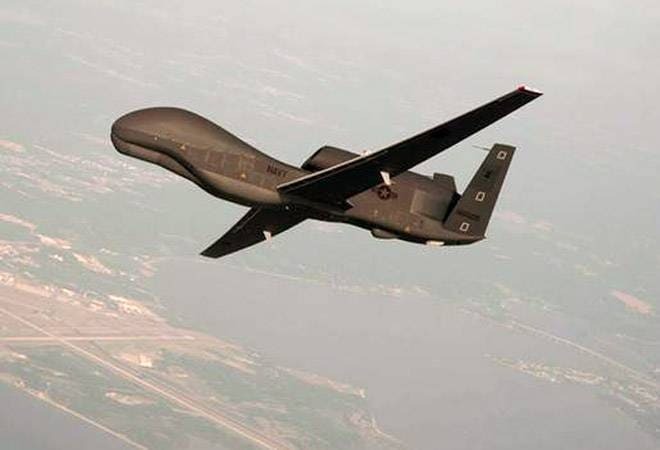 The US has carried out a total of 409 drone attacks in Pakistan targeting suspected militants since January 2004, killing 2,714 people and injuring 728 others, a media report said on Friday. The attacks, carried out by the CIA-operated drones, over the years have targeted the areas of Bajaur, Bannu, Hangu, Khyber, Kurram, Mohmand, North Waziristan, Nushki, Orakzai, and South Waziristan, Dawn reported. Majority of the drone strikes were carried out during the government of the Pakistan Peoples Party between 2008 and 2012. Citing sources within the National Counter Terrorism Authority (Nacta), the paper said the period saw 336 aerial attacks, in which 2,282 people lost their lives and 658 received injuries. The officials said that 2010 alone saw 117 attacks that killed 775 people and injured 193 others. Between 2013 and 2018, during the government of the Pakistan Muslim League-Nawaz, 65 drone attacks occurred in which 301 people were killed and 70 others injured. In 2018, two drone attacks killed one person and injured another. The top leadership of the Tehreek-e-Taliban Pakistan has been killed in drone attacks. Taliban chief Mullah Akhtar Mansour was killed in one of such strikes in 2016. Days after Mullah Mansour's killing, then Pakistan army chief General Raheel Sharif had said, "US drone strikes in Pakistani territory are regrettable and must stop." Pakistan opposes drone strikes, saying they violate its sovereignty. The officials said that 289 attacks were conducted in North Waziristan alone, in which 1,651 individuals were killed and 421 others injured. South Waziristan saw 91 attacks that killed 707 individuals and injured 215. There were 13 strikes in the Kurram Agency that killed 110 and injured 32, five in the Khyber Agency that killed 57 and injured 29, four in the Bajaur Agency that killed 129, two in Hangu that killed seven and injured two, one in the Mohmand Agency that killed 18 and one in Nushki that killed two. Quoting officials, the paper said that at least 19,177 civilians and officials had been killed so far and 47,869 others injured in the 18,850 terror-related attacks in Pakistan since 2001. The attacks, they said, mostly targeted Law Enforcement Agencies (LEAs) and were carried out through different methods that included bomb explosions, hand grenade attacks, mine explosions, missiles, rockets, and suicide attacks. Terrorists also targeted minorities to instigate sectarian violence and employed sophisticated methods, including the usage of Improvised Explosive devices, explosive vehicle devices as well as radio-controlled improvised devices, the paper said. In 2018, at least 405 terrorist attacks took place in the country, killing 133 officials and 233 civilians. In Punjab, 14 incidents of bomb blasts, suicide attacks and engagements with terrorists led to the deaths of six LEA officials and as many civilians this year. Sindh has seen 11 incidents of terror-related attacks, which included strikes on LEAs, through bomb explosions, hand grenade attacks and general aggressive engagement with terrorists. Two LEA officials and as many civilians lost their lives in the attacks. There were 51 incidents of targeting LEAs in Khyber Pakhtunkhwa this year, resulting in the death of 21 personnel and 11 civilians. In Balochistan, 172 terror-related incidents were recorded, resulting in the death of 58 personnel and 193 civilians. In Fata, 42 personnel and 21 civilians were killed in 150 terror attacks this year. The paper reported that capital Islamabad has remained safe so far in the year.